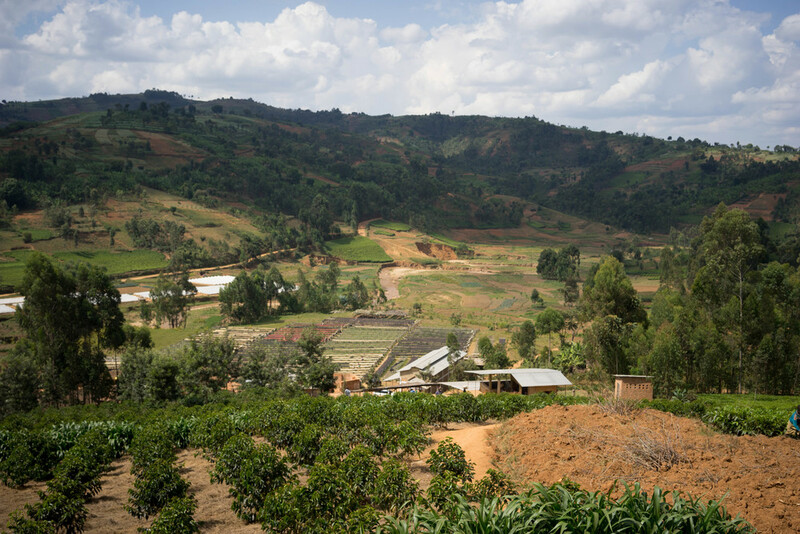 Some of the best coffees we have ever tasted in Burundi are already purchased and on the way. We are now in our 3rd year in Burundi and we clearly see great improvement both from the producers end, and also regarding our ability to get things going on dry milling, internal logistics and shipping. We do now feel we are in control of the whole chain, and this is why we are stepping up and increasing volumes. We have locked in three containers this year mainly from three different producers. Still as everything is separated by area and days of picking we have about 25 lots with a very broad range of flavor profiles and lot sizes. Two of the key persons we are working with in Burundi: Jeremy and Salum from CPC. Here seen at the drying tables at Buziraguhindwa. Generally it seemed to us that the quality was up this year, as it was relatively easy to find stand out coffees. And many of them were truly amazing! The great thing with our producers in Burundi is that they allow us to cup through all their daily lots to pick and choose what we like. 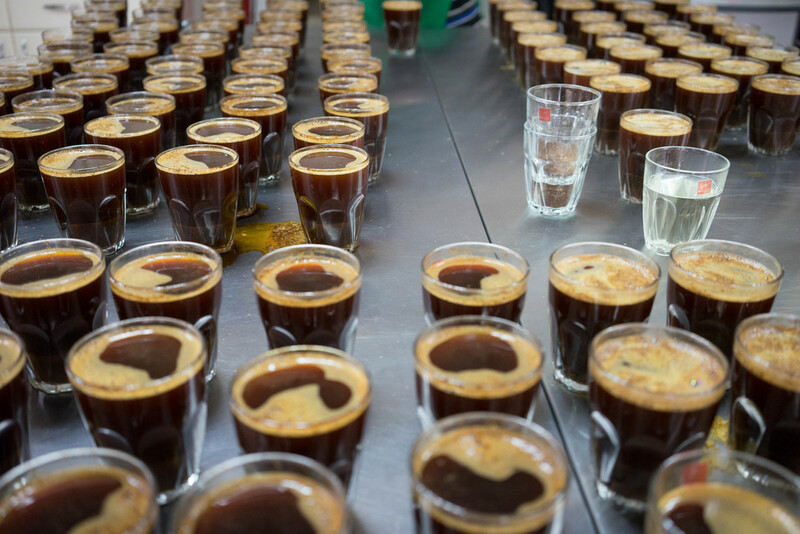 We probably cupped through about 170 lots this year from the three producers. We kept some of them separate by day and area, and some smaller daily lots from the same collection sites was blended by us in to medium sized lots. The biggest concern on Burundian and Rwandan coffee is the defect referred to as the potato flavor. This is known to be caused by the small bug called Antestia, even if there are still different theories about how it occurs. Either way this year it seemed to be generally less present in the coffees. It seems to vary from harvest to harvest, and also what we know is that you can reduce the amount by being very selective during the processing as well as hand sort parchment after washing to take out everything that looks defected. We are really encouraging all our producers to increase the level of sorting, and it truly helps! We did some basic tests, and found that relatively few cups contained the potato defect compared to previous years. The biggest challenge for the producers in Burundi is generally pre-financing up front of the season. They all need cash to be able to start buying cherries. In most other countries it’s possible to access loans from the banks or micro finance from international organizations if your having contracted coffee up front of the season. In Burundi this options is still very limited. We have therefor started to partially pre-finance our producing partners. This means we are giving them an advance to secure our supply. This can in some cases be risky business, but as we have great relations and fully trust our producers it works out well. As we have limited cash flow our selves we are now working on a project to get a third party to do the pre-financing so they can access more. We will then have to give a guarantee for parts of it. Generally we have so far found the Kayanza district and it’s surroundings more interesting in terms of the flavors we are favoring. That said we are continuously looking for coffees from other regions. 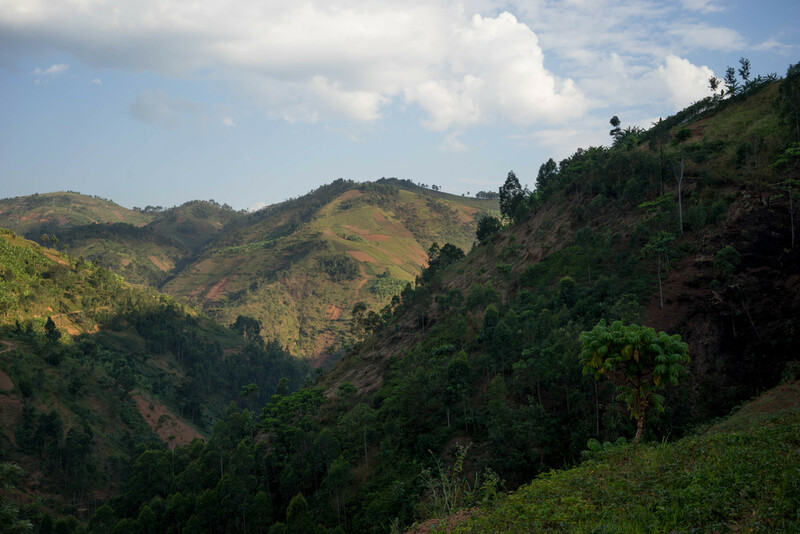 Kayanza is located in the north towards the Rwandan Akanyaru border. The altitude can be above 2000 masl, and many of the producers have long traditions in growing coffee. You have a mix of the governmental owned washing station under the Sogestal Kayanza, private producers with their own washing stations, and newly established cooperatives. We are currently working with a few private producers as well as a Cooperative. Even if there is a lot of development in the coffee sector, and several new dry mills are being built the options are still limited. 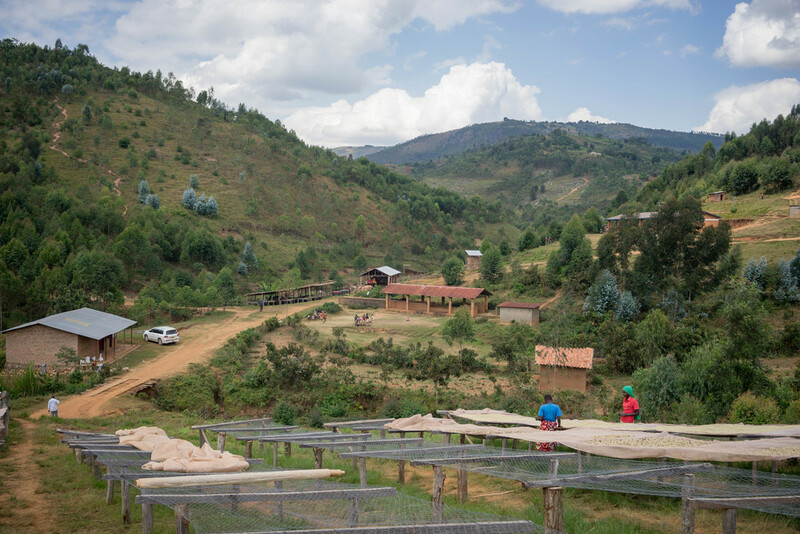 Many of the new dry mills are owned by companies that are both having their own washing stations, as well as they do a lot of lower graded home processed coffees known as ordinary. To get them to toll mill a bunch of micro lots is not always easy as they have to stop their larger scale production, which is understandable. This, as well as challenges on internal logistics from the different local warehouses and consolidation from different producers, can often cause big delays. We are currently dry milling at a local mill in Ngozi (close to Kayanza) called SIVCA that are used to small lots. They are also normally doing the Cup of Excellence coffees, and that way they know the drill on good hand sorting etc. As we are buying our coffees directly from the producers now with no third party exporter involved we are buying the coffee FOT (free on truck), compared to our normal purchase wich is FOB (Free on board/boat). This means we are theoretically buying the coffee from the warehouse at the mill in Ngozi and are responsible our selves for all insurance and transport down to port as well as the shipping. This also means we generally have to pay the coffee earlier than if we buy it on FOB bases. As we now are well connected and thanks to our producer Salum Ramhadan at Buziraguhindwa we have found that for Burundi in particular it is worth the hassle, and it gives us a more efficient shipments. Salum is also helping us with consolidation off all the other coffees we are buying. Overview of Buziraguhindwa. Lots from collection points at Nyabihanga and Sehe are also processed here. All our producers are buying cherries from smallholders normally having some hundred trees each. If they are close enough to the washing station to deliver directly they pick everything from 5 to 100 kgs pr day and deliver it directly. Normally they get paid cash on the spot. In the case of producers buying cherries in more remote areas they normally have what is called site collectors, that represent the washing station and buy cherries on their behalf. They will get a small additional fee pr kg as well as they get paid for the transport to the washing station. This means that a daily lot of lets say 25 bags of greens can consist of coffee from some hundred growers. This year the competition in Kayanza was hard, and for the premium qualities some of our producers paid closer to 60 cts pr kg of cherry, witch is equivalent to almost 4 USD pr kg of exportable green. They all have programs to incentivize the producers to deliver higher qualities and to attract more farmers. They are therefor paying prices well above the market price, but are trying to be more strict on the cherry quality. Is the name of the company of Salum Ramadhan, that owns the washing station Buziraguhindwa. He is now constructing two more washing stations in and around Kayanza but in remote areas with plenty of high altitude coffees. He is already collecting cherries in many different areas. Even if they at this point all are processed at Buziraguhindwa they taste widely different depending on area of picking. They are all processed the traditional way: first, the cherries are floated to skim off the lighter, defected, over-ripe cherries and so on. Then they are hand sorted for under-ripes and visual defects. After that they are processed by a McKinnon disc pulper, then fermented over night before washed and graded in channels. After that they are (in most cases) soaked again over night before moved to the skin drying tables to be intensively sorted while still wet. Then the coffee goes out on the drying tables in the sun. He’s drying in relatively thick layers to slow down the process. It’s continuously moved and sorted during drying. It takes about 15 days with normal weather and not too much rain. As mentioned he’s separating lots by areas and Collins. A Collin is the local (French) name of a hill top. This year we bought coffees from the areas Sehe, Nyabihanga, Shembati, Muruta and Buziraguhindwa. Sehe, with an altitude of 2100 masl. CPC has just bought the land here and is ready for construction of a new washing station. Is the name of the company and washing station of Ephrem Sebatigita. 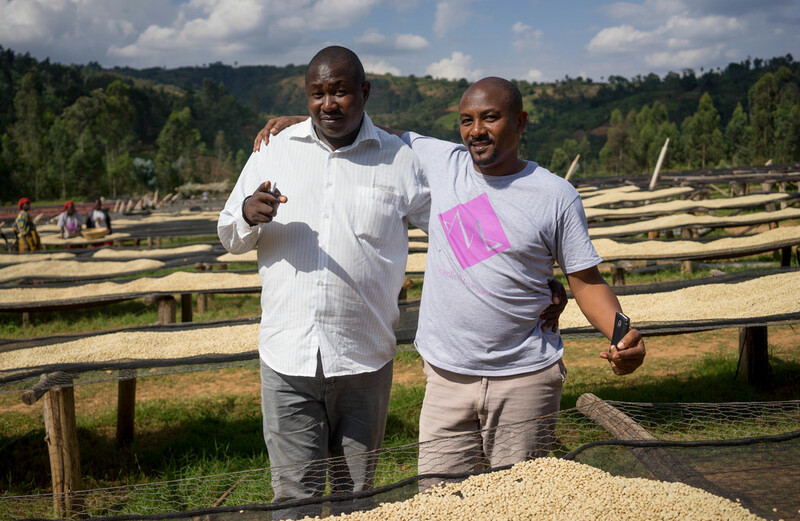 Ephrem has been working in coffee for decades, and have managed, designed and built both washing stations and dry mills. Mainly for others, but now he’s having he’s own project with a larger washing station in Kayanza as well as a micro mill closer to the Rwandan border in a very remote area. He’s working in close relation with groups of producers (farmer cooperatives) to secure he’s supply and as well to develop quality in partnership with the farmers. He’ also having he’s own small farm with some thousand coffee trees as well as other crops like fruits, berries and vegetables. At he’s main washing station he’s following more or less the same process as Salum. But he’s normally not doing soaking of the coffees after washing. He’s also doing a lot of experiments on processing, e.g. fermenting in recycled water from pulping and so on, and are separating coffees in tiny micro lots. This year we cupped through a bunch of three to six bag lots of parchment, to fulfill some blended micro lot selection. We bought 4 lots from everything of 4 to 35 bags. He’s increasing volumes and for next year we will see much more coffee from this guy. Is also called Mpemba based on the location. This is a fairly young cooperative that have operated for about 4 years. It’s a small cooperative with very knowledgeable and discerning management and members. They have a small mill with a Penagos eco pulper. They are also doing flotation and a lot of selection at cherry reception. But as the Penagos pulper is also mechanically removing the mucilage as well as skin and pulp, they don’t have to ferment the coffees. The parchment goes to soaking thanks after pulping to sit over night before it is rinsed, steered to skim of floaters, before it’s going to the skin drying tables for sorting. We bought coffee from them 2 years ago. Last year we intended to buy, but because of a small crop, and hardly any access to finance of cherry purchase they produced to small amounts. We are really glad they are back, and are hoping to consistently work with this cooperative for the future. We bought two different medium sized lots from them this year. An overview of the Mpemba Cooperative, with drying tables in the foreground and storage and processing in the background.